Dynamic CRM comes with the set of predefined reports that cover different areas of CRM. 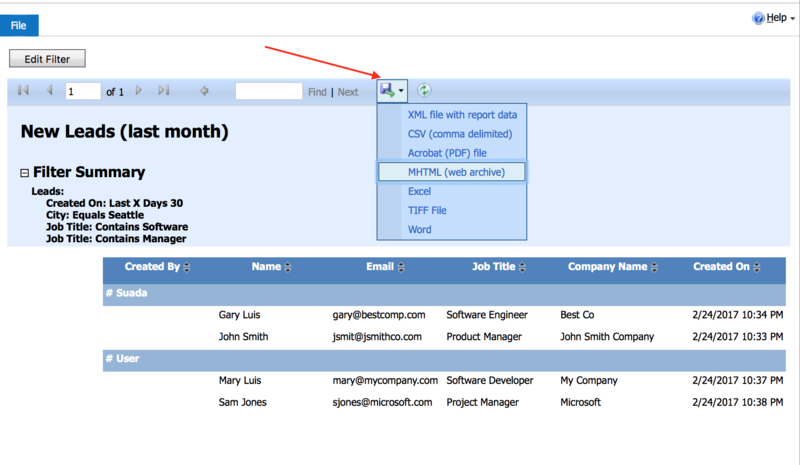 Users can edit existing reports, create new from existing ones, or create completely new reports. 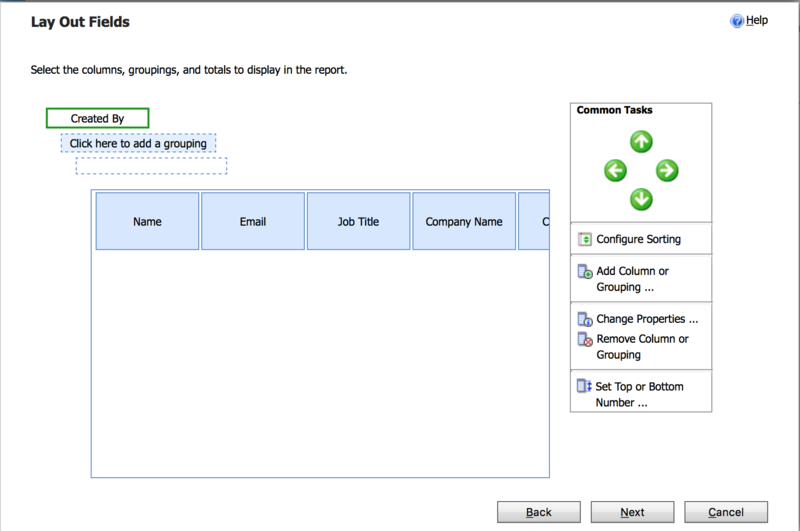 Run the Report Wizard to create a new Reporting Services report. The Report Wizard can create table and chart reports. Write a new Fetch-based Reporting Services report. To write custom fetch-based reports, you must install the Microsoft Dynamics 365 Report Authoring Extension. 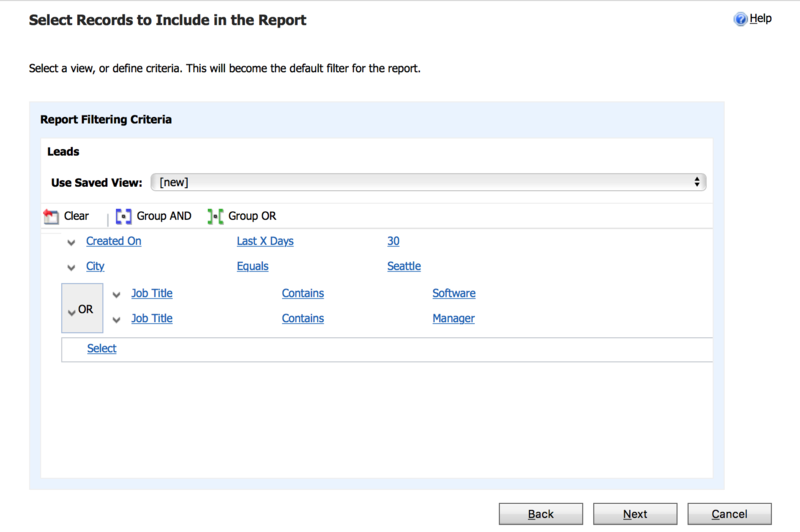 This blog post will walk you through report creation using Report Wizard. List of all available reports can be seen in Reports section that can be accessed through Sales, Services or Marketing areas. 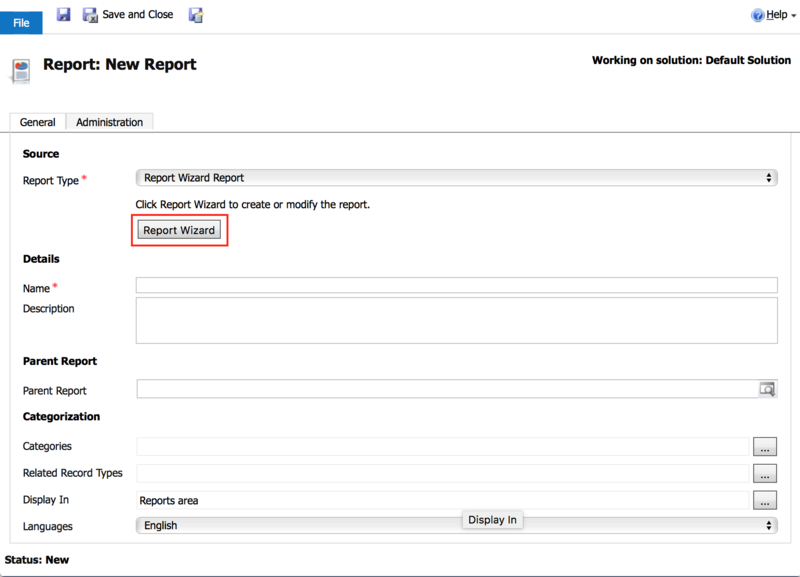 First step in the wizard process is to select creating completely new report, or create new using existing one. Start from an existing report means copying existing report and editing it, while the original is retained. If Overwrite existing report is checked, that means that selected existing report will be changed, and original will be lost. Note: Avoid selecting data from a related record type that is not required, as it makes the report take longer to load. Click Next. On the next screen user needs to add all neccessay filters (at least one or multiple filters). Example with few filters is displayed below. This set of filters can be read as: Display all Leads created in the last 30 day, that are in Seattle, and have job title containing ‘Software’ (Software Developer, Software Engineer, Software Developer In Testing, Business Developer…), or whose job title contains ‘Manager’ (Project Manager, Product Manager, General Manager…). To group clauses with AND or OR, select desired rows and click Group AND (or Group OR) button. Click Next. Next screen allows user to design look of a report: which columns to show, width of the columns, order of the columns, grouping results, etc. To add columns, click Add Column or Grouping. Repeat for all desired columns, and select column, width, and different/related entity if needed. Use arrows to order positions of the columns. To read more about every option on the screen, check this link. Click Next, select Table Only report (in order to select table and diagram report, you need to add a summary type to an existing numeric column, or add a new numeric column with a summary type). Follow wizard to the end and click Finish. Another tab is Administration, that is used to see and change who will be the owner of the record, who created and modified report, and to select if the report will be only for an individual that created it, or for all users from same organization as the user who created it. Run Report button at the top of the New Report screen will display how does report look like. Save changes, and close the window. In the list of the reports, select newly created reports, and click Run Report at the top of the page. Or, go to Leads screen (list of Leads), click Run Report, select newly created report. The results will be dislayed with filter(s) that user specified in the Report Wizard process. You can change filter to display different kind of information by clicking the button Edit Filter in the upper left corner. 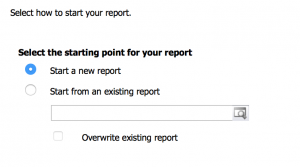 But this change will apply only to this session, original report will still have same filter and settings (if you want to change report permanently, start with the steps from the beginning, but select Start from an existing report option in Report Wizard, or select report in the list of reports and click Edit). You can also export results to Excel, Word, PDF and few other document types.